I’m not a huge Jonathan Adler fan but I find some of the prints and designs he has created are whimsical and fun. My Nook cover is a Jonathan Adler design and it’s just begging to be made into a quilt. 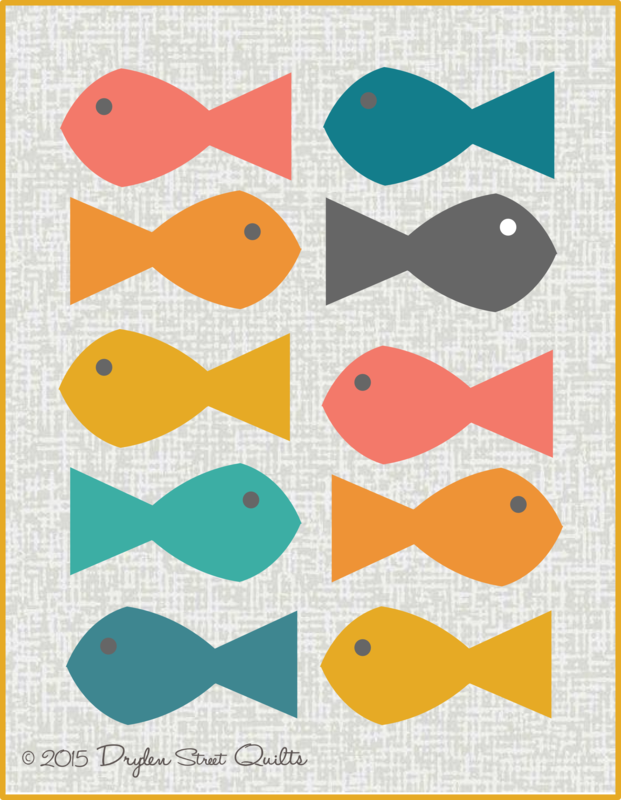 I thought I’d draw up a mock-up of a small (14″ x 18″) “Fishes” mini quilt. This would make a lovely wall piece in a child’s bedroom or any room, really. ©2015 Dryden Street Quilts. All rights reserved.